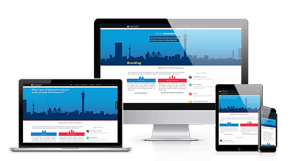 Responsive Web Design is a design and development technique that require websites to respond to the user’s behaviour and environment based on screen size, platform and orientation. We design websites that adapt themselves to all screen sizes. Whether it is a personal computer, tablet, smartphone or even that old feature phone that your grandma is still holding on to. A Content Management System is a tool that allows you to edit the content of your website simply and securely. If you can use office applications, you will be able to use our CMS. With a Content Management System, you will be publishing your own content, thus eliminating the need to call on us for content updates —The power in your hands. So you are the kind of business that values their customers time, and you trying to do away with their need to walk to a physical store? We just have the right solutions for your business. We provide development of secure ecommerce solutions, with integration to various payment gateways for local as well as international transaction. We believe that web development should be a recurring process. That is why we provide re-design services to adapt your old website to the current standards and trends. Are you too busy to update your website by yourself ? We can also handle content updates for your business. Therefore allowing you to stay focus on your business’ most critical tasks.